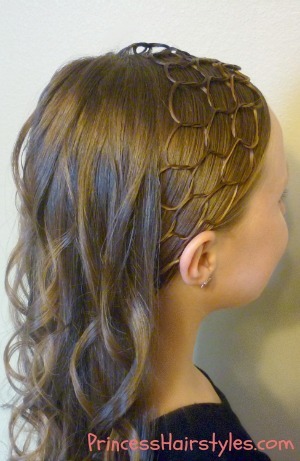 A Cute Headband Made From Hair! 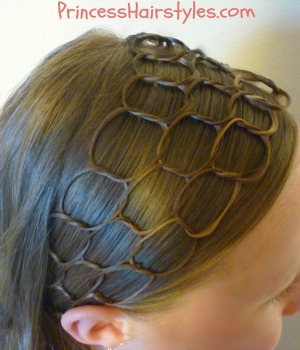 This honeycomb headband hairstyle is a variation of our "chain link headband" which we posted a couple of years ago. The chain headband we made in the past used only one chain instead of several. After finishing this style, we decided the connected circles of the chains looked just like a honeycomb! This hairstyling technique (which we call chain braiding) can be used to make a variety of interesting and intricate styles. The trick to making the "circles" neatly is to get the hair wet before you begin, or use hair product to prevent flyaways. I prefer water over product because I have found that gel tends to makes her hair sticky and tangled the next day. But, definitely do what works best for you. I know that some hair textures will not stay shaped this way without some type of gel or pomade. 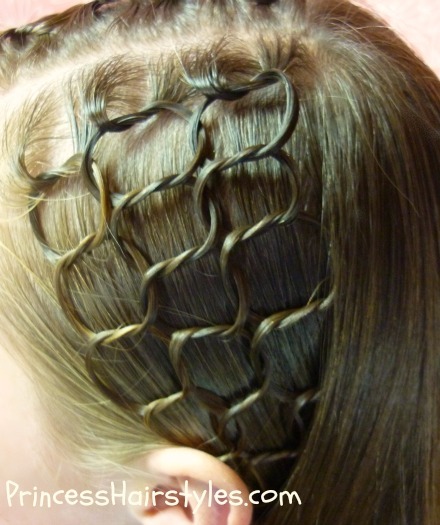 It is also helpful to use very small or thin strands of hair to create the knots in the chains. I realize this hairstyle probably isn't for everyone, as it is quite different! But, the Princess loves it and always receives lots of compliments and attention when she wears chains in her hair (which she loves.) I'm sure you will too! 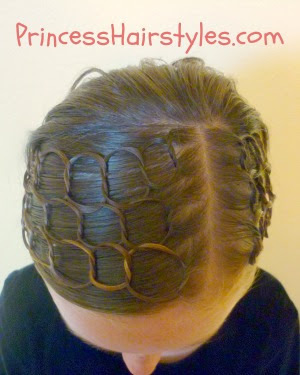 Thats a really cute hairstyle for a little girl. Amazing! Will try this on my sister's hair. Really think this is beautiful. A whole lot easier than I thought it would be. Definitely trying this!